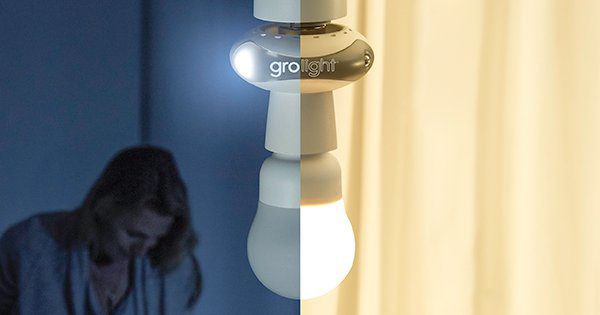 From the makers of the popular award-winning Grobag baby sleep bag and one of our favourite international safer sleep brands, we bring you The Gro Company’s latest bright idea – the a unique, innovative dual function night light which fits into your existing light fitting. 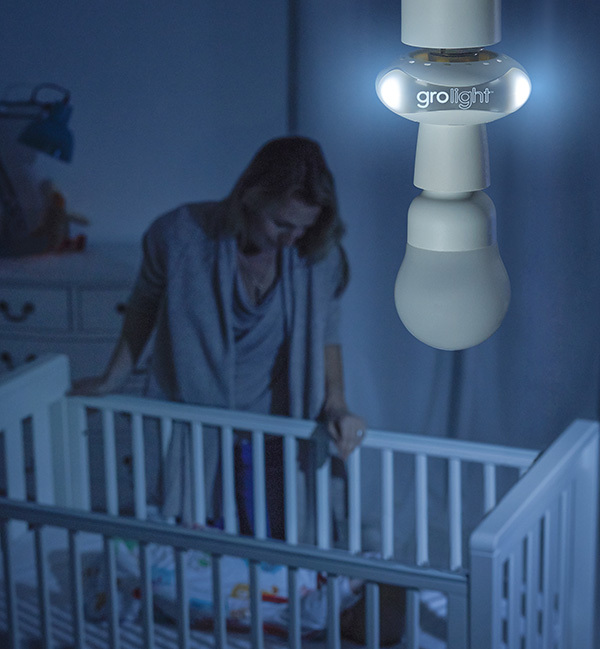 Amazingly clever, the Gro-light is an easy night light solution, providing the perfect night time ambience to your baby’s room. At the flick of your normal light switch it casts enough light to allow you to move around the bedroom without any trouble, yet is dim enough not to keep little ones awake. You can even adjust the brightness of the soft light to suit yourself with a simple twist of the control dial on the globe. 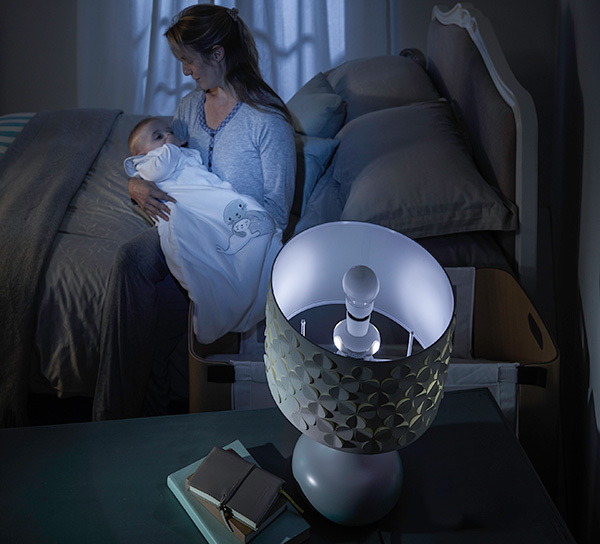 The Gro-light has a handy two-click function allowing parents to easily flick between the gentle night-light glow for non-disruptive baby checking, to the full bright light should you need to commence a full midnight change of cot sheets or similar, with a double flick of the light switch. 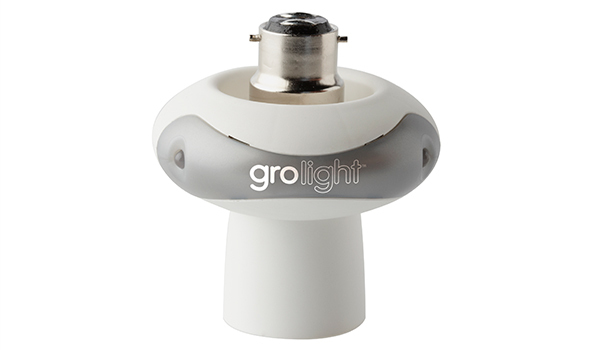 Easy to install, the Gro-light simply fits into a normal pendant light fitting, either an existing ceiling fixture or a bedside lamp, and works in conjunction with your regular globe. It’s completely portable too, simply remove and pack it in the overnight bag for a go anywhere night light. 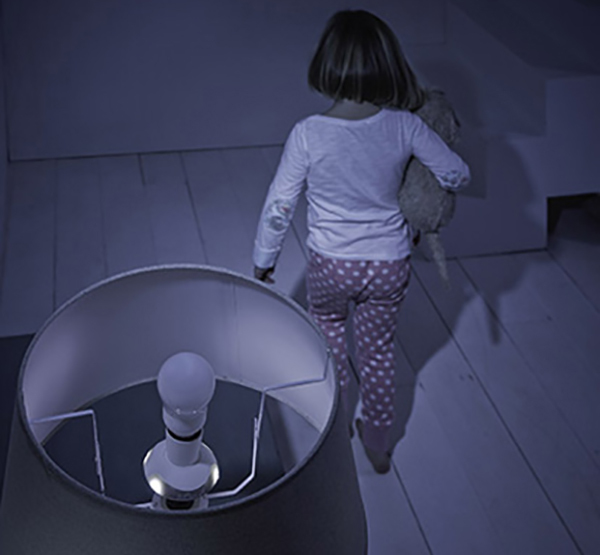 The Gro-light will undoubtedly be helpful throughout the first few years of childhood from newborn and night time feeding, to comforting a toddler and of course providing light for toddlers commencing toilet training to navigate their way to the bathroom. Cheaper to run than a dimmer switch, environmentally friendly LED bulbs have an average lifetime of 13.5 years of use when used for ten hours a day – that’s some serious value for money. The initial swapping out of globes is no drama, the Gro-light is available in two standard sized fittings – screw and bayonet – so it really is as simple as fitting a regular globe – you just need to purchase the same fitting as the light fixture you’re attaching it to. Easy! The Gro-light joins the ranks of an impressive line up of essential baby products from The Gro Company including the Grobag, Gro-swaddle, Gro-egg, Gro-clock and the Gro-anywhere blind. All are innovative products changing lives and sleeping habits of families all over the world. The Gro-light retails for $34.95 and will be available locally from Baby Bunting from August, 2014. Check the video below to see how brilliant it is.